James Gill is a modern artist who uses the technology of modern photography mixed with abstract and colorful pop art style. “Pop art is for everyone.” This was said by Andy Warhol when pop art was at its peak in the 1960s. Just what was it that made pop art so popular? And is pop art still around today? To answer these questions, we have to look back to the inception of pop art in the 1950s. The technology of photographs began to take hold in the mid 1800s. As it became more common to take pictures that were realistic representations of their subjects, art began to be less representational. Movements like dadaism and abstract expressionism became prevalent. Rather than providing realistic representations of the world, these art movements sought to interpret and comment on the world through non-representational art. By the 1950s, pop art had developed as a response to the rising consumerism that came from new mass manufacturing technologies and persistent advertising tactics. So, what was it that set pop art apart from its predecessors? Many people found pop art to be less elitist than previous art movements. Artists like Andy Warhol, Roy Lichtenstein, and Alex Katz began to use familiar objects and images from pop culture to make pop art readily recognizable and accessible to a larger portion of the population. And while previous art movements had been cynical and even destructive, pop art was more peppy, as it both critiqued and celebrated pop culture. This brighter tone and improved accessibility is what made pop culture so intensely relevant in the 1960s and beyond. So, is pop art still around today? Many would say that it is. Pop art is essentially a type of art that provides commentary on world events and consumerist culture. While it can be argued that the pop culture movement did not progress past the 1970s, there are elements of pop art that are still present in today’s contemporary art. 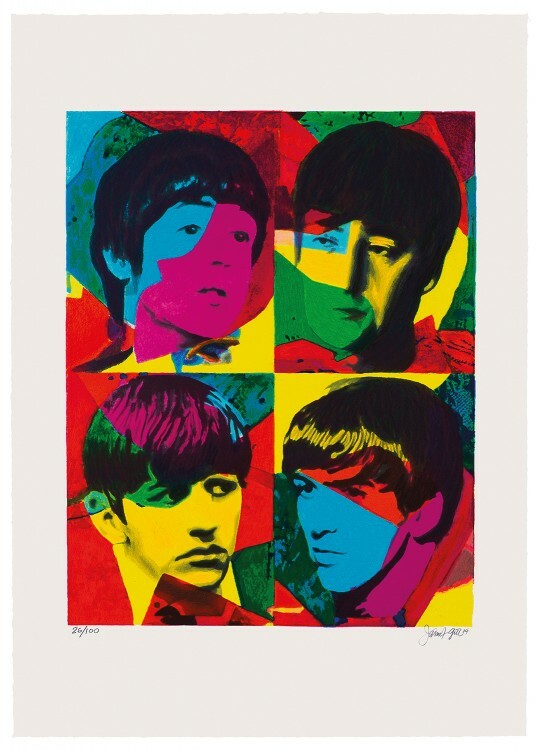 While there are still artists who create art that is directly influenced by the styles of pop art, such as James Gill, there are other artists who are still influenced by the driving forces behind pop art. And with today’s advancements in digital media–like the development of computers, video, and interactive electronic productions–elements of pop art exist in a much more interactive format. For example, the artist Ano Molly Gochman asks participants to fill cracks in the ground with red sand in order to draw attention to the global problem of human trafficking. Shirin Neshat uses film and photography to highlight gender inequality in the Middle East. And artist Simon Heijdens used various technologies to engineer a room called “The Silent Room” that is completely devoid of the noise, light, and color in order to emphasize the sensory overload the average person experiences in the modern world. In all these cases, artists have used technology to comment on world issues in interactive ways that are accessible to their audience. The heart of pop art, which is social commentary and accessibility, remain intact in today’s art. This entry was posted on Thursday, August 11th, 2016	at 12:25 pm	and is filed under Collectable Art	. Both comments and pings are currently closed.